As popular tourist destinations are getting shrouded by herds of tourists, we want to dodge the crowd and run away to quiet, secluded lands gets more urgent. In India, countless destinations yet lie untouched and always want to hidden away from the urban craze. As precious as hidden gems, these offbeat places in India will give you the chance of a lifetime to extract yourself from the claws of the city, and surrender to nature’s ever open hands. 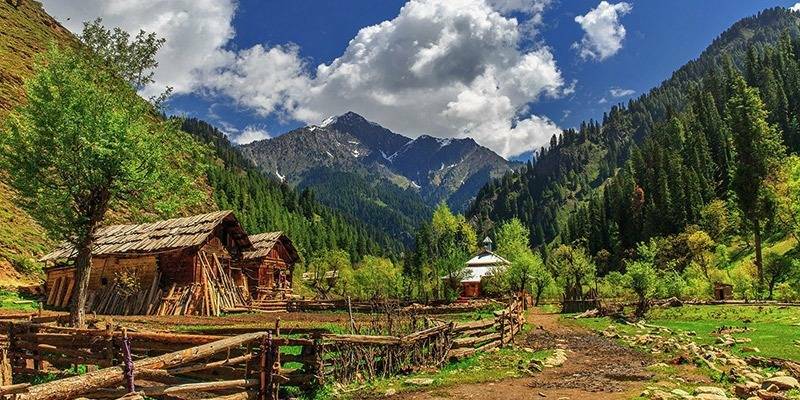 A land untouched, a land less travelled to, a land of paradise – The Gurez Valley is an enchanting valley surrounded by the magnificent snow-capped Himalayas of northern Kashmir. The valley boasts of varying landscapes, from a freshwater lake, meandering river to a dense shrubbery. Accessible by road only, visitors can live in local home stays or at the lone hotel in Dawar, the township of Gurez. Habba Khatoon, the famed mountain peak of Gurez, gets painted in different shades as sun rays slither across the mountains. Walking through the town, along by the river bank in the mornings and evenings will take you through patches of hamlets, evergreen deodar forests and dreamy pathways in the mountains. The lack of mobile network at Gurez will leave you completely entranced in the uninterrupted wonder of nature. Popularly referred to as the ‘Switzerland of India’, the quaint little hill station of Kausani (situated in Uttarakhand) is veiled by layers of featherlike clouds, gigantic mountains, and nature in its exquisite raw form. This unexplored land is an enchanting haven for those who want to escape from the demanding city life. The hill station provides exclusive views of the striking snow laden Himalayas in their most majestic form. Lush green valleys, towering pine trees, chirping birds and pure air, all contribute to the mystical aura of Kausani. A few ashrams are scattered around the town, providing a peaceful retreat for visitors. 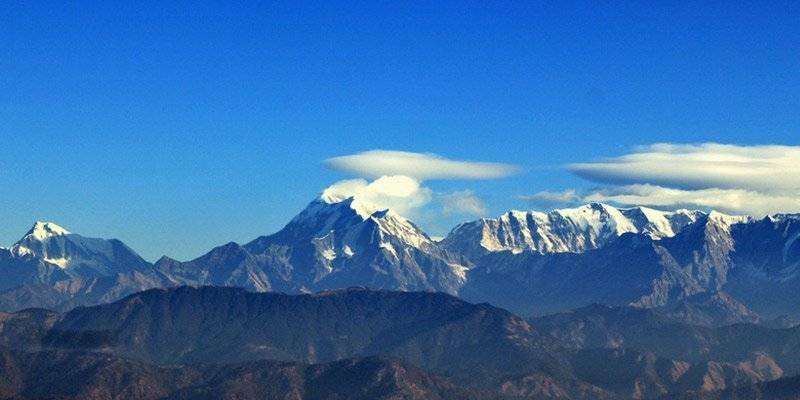 Kausani has heaps to offer for both nature lovers and adventure seekers. The hill station is easily accessible from Delhi, and welcomes everyone looking for a quick and an enriching getaway! 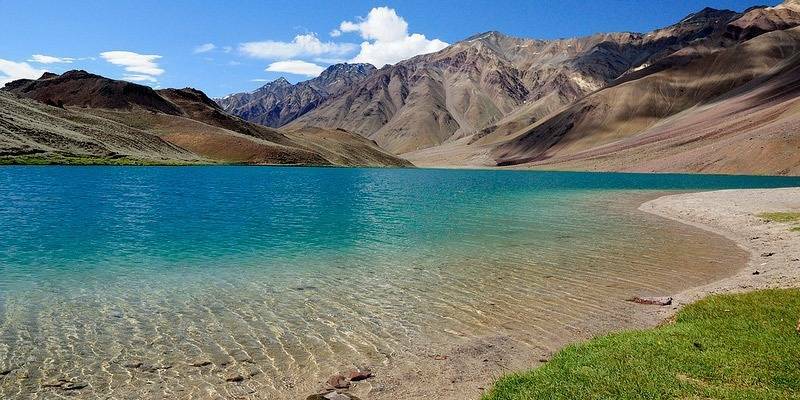 Sandwiched between Kashmir and Ladakh, the Warwan Valley is accessible only by road, between May and October. The backdrop of this unexplored valley is painted by clear sky, lush green vegetation, and the glistening Warwan River. The journey to the upper Himalayan valley is rough, passing through rocky roads and sharp bends, but for those who make it through, it is worth the time and effort. Completely cut off from the outside world, the Inshan village in Warwan is the only human habitation with basic amenities, where even mobile network fails to connect! You’d rather spend your time watching dogs and shepherds manoeuvre cattle through the hills, or interact with local nomads. A trek through the mountains is a great challenge to take up alongside. To visit the valley, you will need to obtain a permit from the state’s tourism board, so ensure that all arrangements are made, for Warwan will definitely exceed all your expectations! 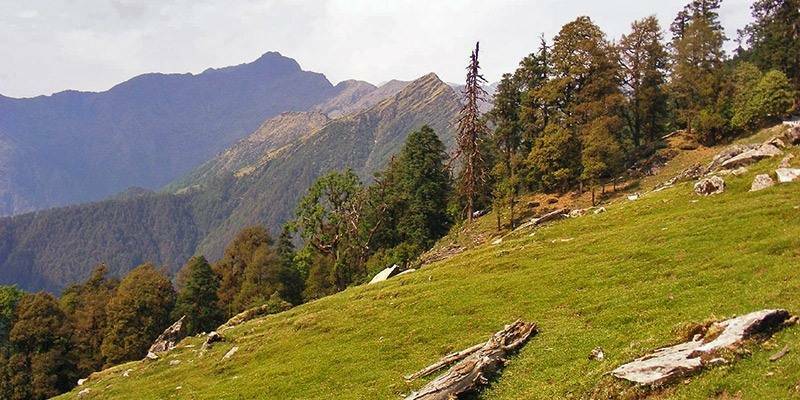 The Chopta hills of Uttarakhand hold a great attraction for tourists who enjoy trekking extensively. The hills allow a clear view of the mesmerizing world underneath and an occasional brush with the clouds is a common attraction of this place. Chopta hills are adjacent to a wildlife sanctuary and offer a majestic view of the snow-capped mountains and the meadows beneath. There is a famous trek to the Panch Kedar temple that is a most awaited attraction. The varied flora and fauna give you an ideal reason to snow trek in winters too and take in the beauty of nature. A small, tranquil and untouched village in the wilderness unwinds the nature lover in you. The calm breeze of the panorama soothes you to a great extent. 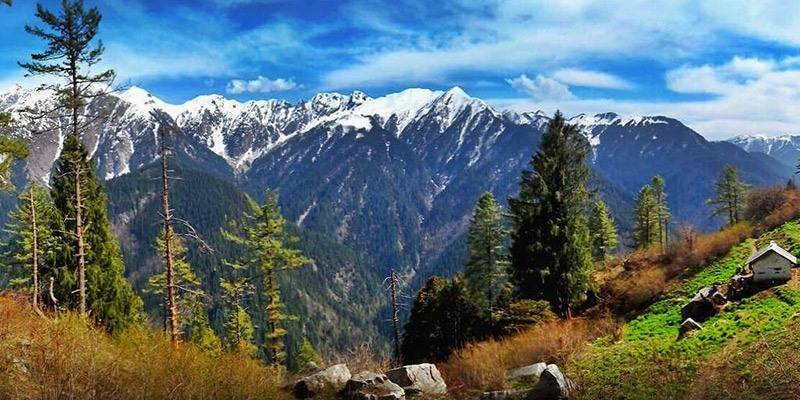 Shoja also give you a view of the snow-capped mountains and the tall deodar trees. It has a calm and beautiful environment throughout the year. 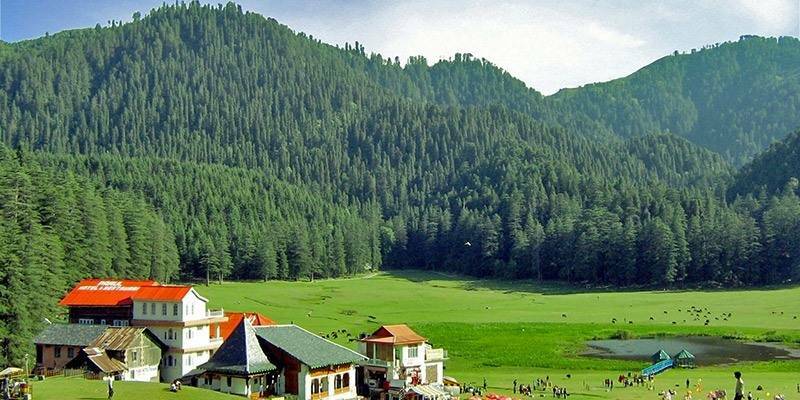 Bearing a strong resemblance to Switzerland, the flawless hill station of Khajjiar is bound to leave you in awe of nature’s beauty! An amalgamation of varying landscapes, Kahjjiar boasts of dense deodar forests, long stretching meadows and trickling streams that feed a little central lake. The hill station, which is situated close to Dalhousie, serves to be an open playground for children or a peaceful nirvana for elders. Adventure activities like zorbing and trekking are perfect to get the heart racing. You can enter a calming state of spirituality by visiting a 12th-century temple known for housing relics of the Mahabharata. Nothing beats the feeling of turning off your cell-phone, leaving all belongings behind and taking a long walk through pastures, hill tops and grasslands while gazing at the majestic snow clad Himalayas. If you want to know where heaven on earth is, well, it’s right here in Tirthan Valley. 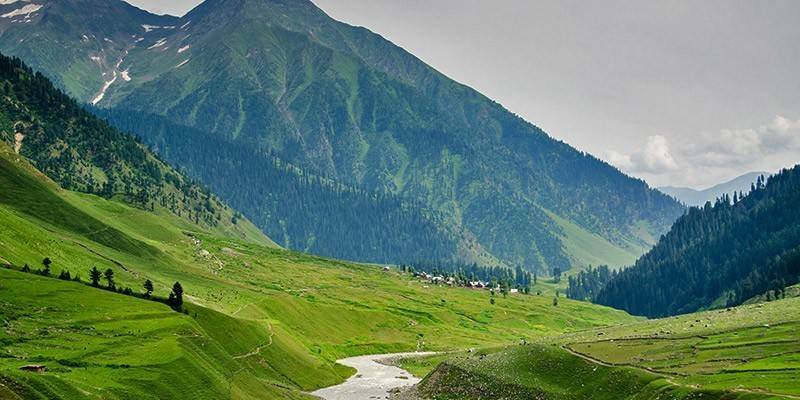 This offbeat destination lies close to Kullu, and is accessible only by a rough road journey. However, the peace and serenity surrounding the valley will surely leave you bewitched. Get off the couch, switch off the computer and stretch some muscles while breathing in clean, unpolluted air, as you get set on one of the many trekking and hiking trails that Tirthan has to offer. 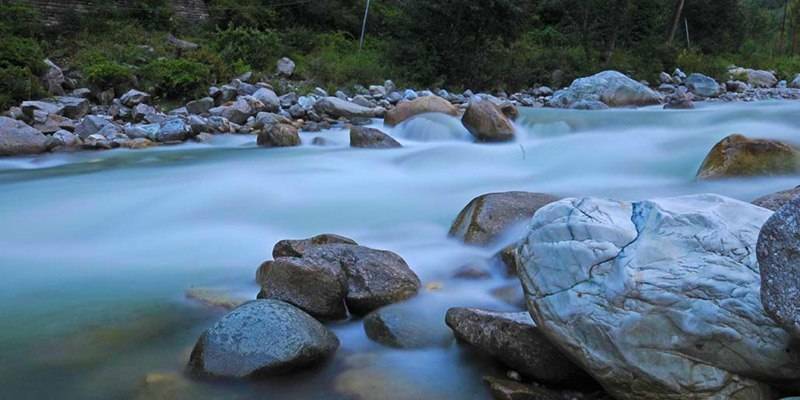 On the way, you ought to stop for some trout fishing, angling or river crossing on the Tirthan River. Set camp by the Great Himalayan National Park and engage is some uninterrupted bird watching. Take walks past tiny hamlets, blooming apple orchards, along dreamy roads through forests. Don’t think twice, get up, and rush to the ever enchanting Tirthan Valley before it gets too commercialised! A small village enshrined in Kinnaur, is located about 179 km from the State capital Shimla and competes with it in beauty and grace. There is a spectacular apricot orchard and other amazing things to enjoy owing to its beautiful place in nature, right beside many other hill stations. There is a fort like structure built by the Pandavas beside the Sutlej that is calm and serene spot. Lipa-Asrang Sanctuary is yet another attraction that harbours musk deers, brown bears and other animals. The place rests as a paradise to dreary travellers with its stark union with nature. Located in the north-eastern Himachal Pradesh, Spiti Valley is Ladakh like desert mountain valley that has some of the most breath-taking natural beauty in India. Spiti Valley gets cut off often in winters due to heavy snowfall. One needs to cross high Rohtang pass that separates Spiti Valley from Kullu Valley and another one called Kunjum pass if one want to visit Lahaul valley. Key Monastery, Kaza village, Chandra Taal are some of the must-visit places in this region. 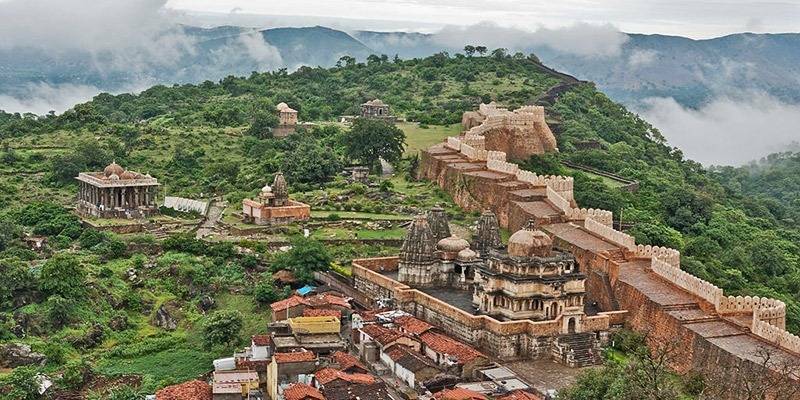 Complementing the enthralling beauty and grandeur of Udaipur, Kumbhalgarh stands only a few kilometers from there welcoming the tourists to a spectacular visit to the grandeur of the fortresses. It is the second largest fort in Rajasthan and second largest continuous wall after the Great Wall of China. It is the birthplace of Maharana Pratap, the great warrior of Mewar. 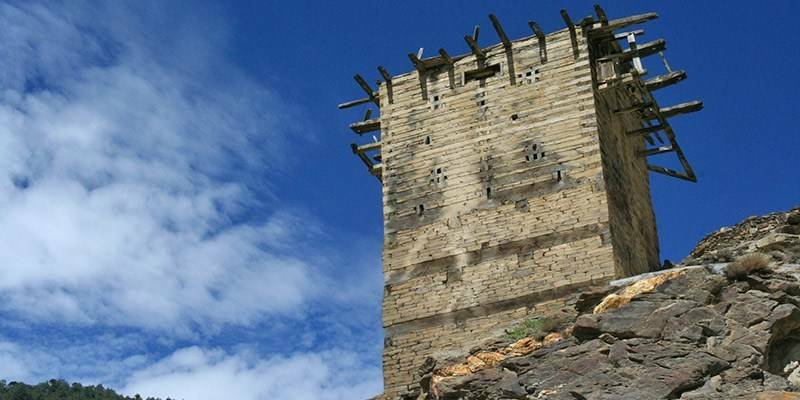 The fortress covers a huge area of pure serene beauty and a walk along the rugged red walls is an amazing experience. The major attraction is the light and sound show which is there in the evenings, narrating the entire history of Mewar. The place is a must visit and off beat! As narrow lanes wind through the city’s rows of blue houses, majestic palaces, medieval forts and grand Havelis strongly retain Bundi’s imperial touch. Unharmed due to the lesser numbers of tourists, Bundi provides a perfect Rajasthani experience. You can walk through the city’s bustling markets, or visit one of the many temples, while gorging on traditional food. 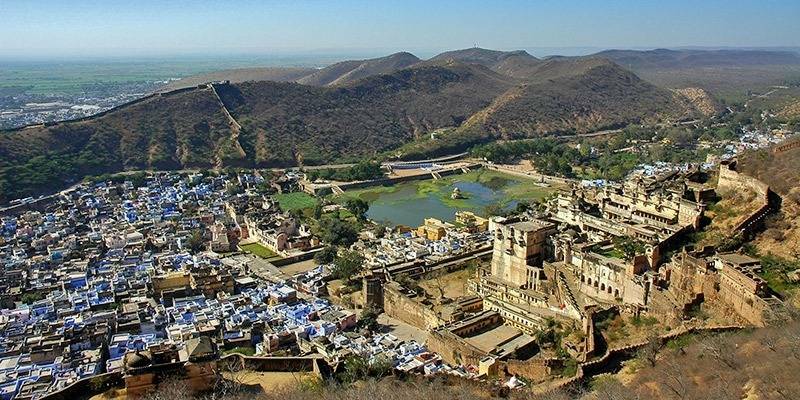 The Bundi Palace, Taragarh Fort and ancient step wells are beautiful spots to explore, along with the Jait Sagar Lake which lies in the centre of the city. The Kali Teej Festival, which takes place around 20th August is the best time to visit the city and watch it come alive in full glamour. Colourful clothes, dancing and singing fill the streets of Bundi, making the atmosphere fun and merry. This city must definitely be given a visit, especially to get away from the crowd and dust of Jaipur, Udaipur etc. Jaipur, Jodhpur, Jaisalmer are always the first few names that are thought of in relation to Rajasthan. However, smaller offbeat cities in the state are equally appealing and devoid of too many tourists. One such place is Pali, a small city located near Jodhpur. Known for its trademark dish, Gulab Halwa, the city is a paradise for foodies. Visitors can counter the heat by indulging in some authentic kulfis or freshly made ice cream. 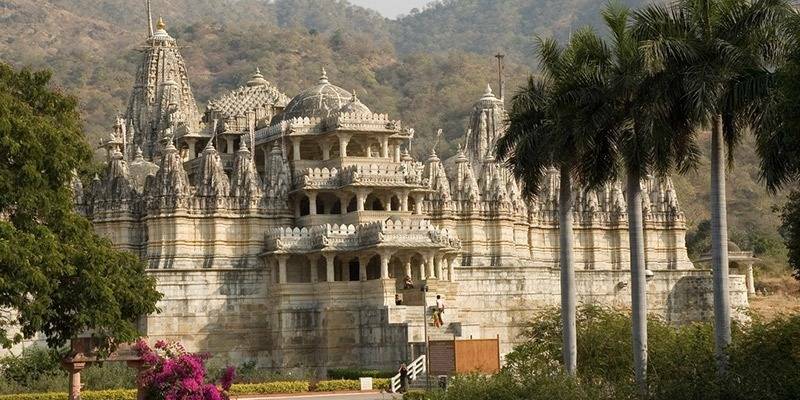 The sightseeing options are vast, ranging from beautifully carved temples to tranquil ashrams and river dams. Backpacking here is an unusual experience, living among locals will help you learn volumes about the culture, and of course, be treated with wholesome meals! 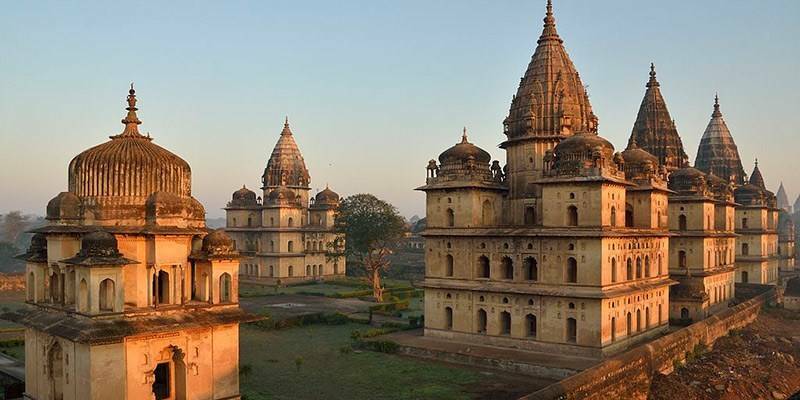 The Betwa River that is encircled with huge boulders has a small village called Orchha on its side that flaunts the intricate Mughal Architecture of its time. There are also palaces and cenotaphs that complement the pastoral landscape in which it is settled. Orchha has its own serene and calm ways of appealing to the traveller in you. It is an ideal spot for trekking and rafting that create an adventure sport loving environment. A few other attractions here are: Ram Raja Temple, Jehangir Mahal, Raja Mahal, Phalki Mahal and Phool Bagh. There are beautiful camel stables that look really attractive. Mandu is a testament to the love of Prince Baaz Bahadur abd Rani Roopmati. The place boasts of rich Mughal architecture with grand palaces, baths, attractive canals and artistic pavilions at the fringes of beautiful lakes. Mandu is one of the biggest forts in India and was the summer retreat of the Mughal Emperor. The place is a grand treatise of love and expert architectural marvels. It is on the outskirts of the main city and is worth a visit. Drowned in rich history, the lesser known UNESCO World Heritage Site of Champaner Pavagadh is located just 50kms from Vadodara. 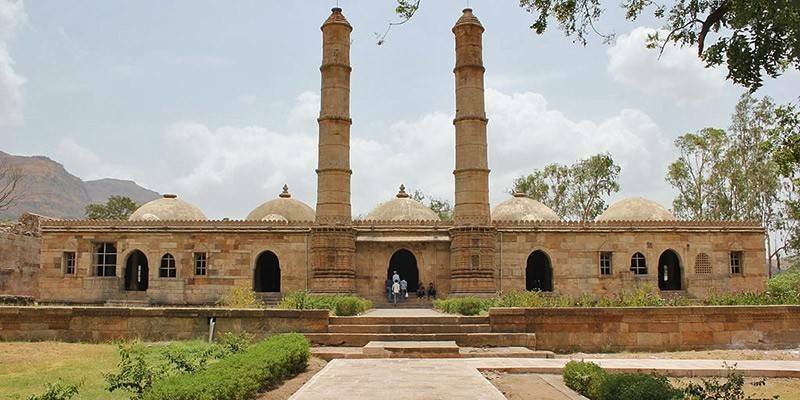 The archaeological park surrounds the historical city of Champaner, and contains grand palaces, ancient mosques, beautifully carved temples, tombs, arches and water tanks that were built long ago in the 16th century. A well-known Hindu shrine, Kalika Mata Temple stands tall on the Pavagadh Hill and attracts thousands of pilgrims every year. The fusion of Hindu-Muslim architecture on most of the structures is unusually beautiful. 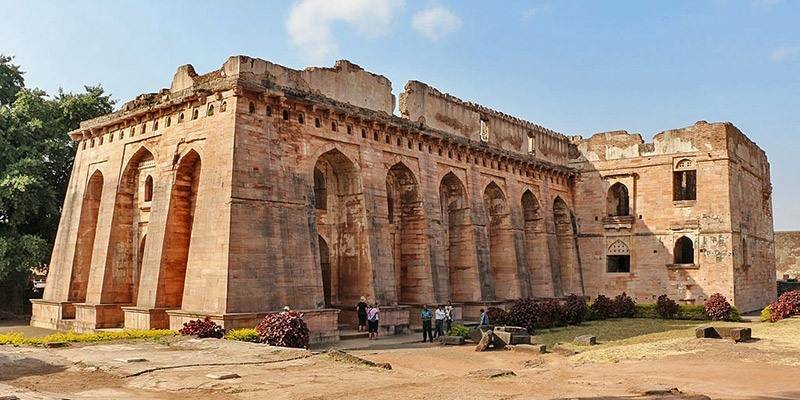 Major history buffs must definitely give this place a visit, especially to explore the hidden past of what once used to be the capital of Gujarat. Also known as white ant hillock, the Haflong hills in Assam known for its landscapes, valleys and mountains. 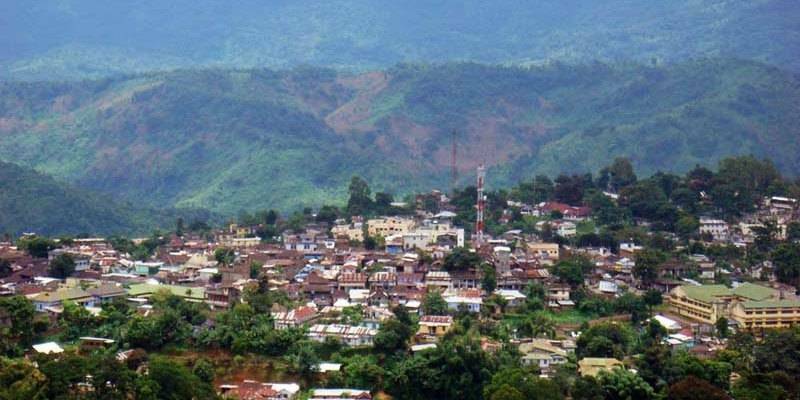 It gives a panoramic view of the hills and the serene environment there. It is famous for its lakeside resorts and adventure sports. The Haflong Lake is one of the largest natural water bodies in Assam. It is one of the famous tourist spots in Haflong. 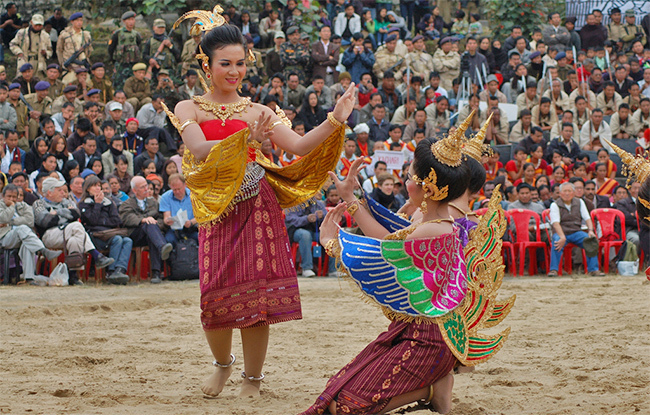 Haflong celebrates its harvest festival, Chavang Kut in November every year. 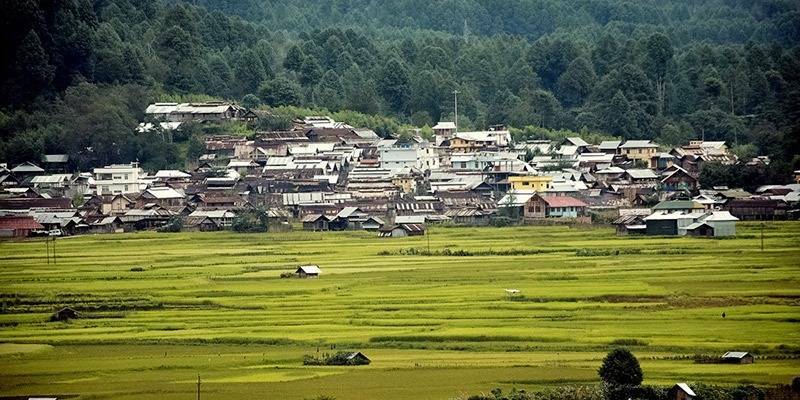 Nestled as a majestic heritage preserver, Ziro is a small town in Arunachal Pradesh layered by rice fields, rivers and the villages of the Apatani tribe. That makes up for the best of archaeological heritage as well as elite and suave styles. Most of the villages have a beautiful tattoo making procedure here which is quite an opportunity for the tourist. Accessories like nose pins and other funky jewellery is eye-catching here. Ziro is also known for its festive gathering where music lovers from all over the world come together for a classy evening. This festival is usually during the October and is a big hit every year! 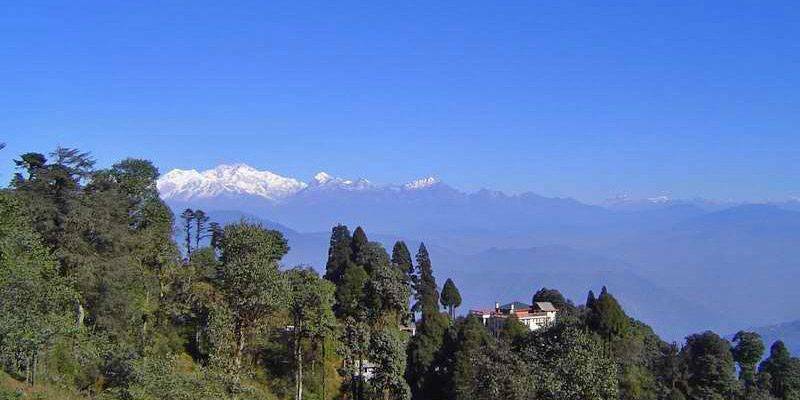 Lepchajagat is a small village located 45 mins from the beautiful and popular hill station of Darjeeling. The place is ideal for the calm nature lover and honeymooners seeking a quite spot in the lap of nature for a day or two. Flora dominates the place, there are an extensive number of oaks, pines, and rhododendrons coupled with the view of the mountain peaks especially the Kanchenjunga peak. Hawa Ghar, a place 1 km away from Lepchajagat offers a beautiful view of the peaks. Ghum Monastery – an attraction almost 10 km away. Among the hills of Arunachal Pradesh, the Tibetan influenced town of Tawang is a lesser known, but spiritually calming place to visit. It is accessible by road from Guwahati and Tezpur, the journey to Tawang slithers through thrilling passes on steep slopes of picturesque mountains. Colourful rhododendrons, buzzing bees and butterflies by the shimmering lakes and waterfalls decorate the sceneries in full bloom! 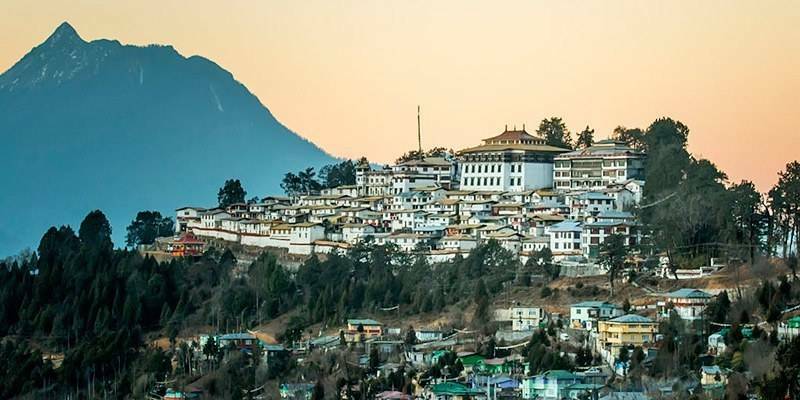 Tawang is also the home to the largest monastery in India, the Tawang Monastery, and a huge infrastructural beauty. In the winter, adventure seekers can try their luck at skiing on the frozen lakes, a rare opportunity in India. Trekking and camping are other apt ways of getting the adrenaline pumping at Tawang. Gifted with historical and natural splendour, the town is a wonderful place to spend a few days unwinding, relaxing and keeping a balance between rest and play. 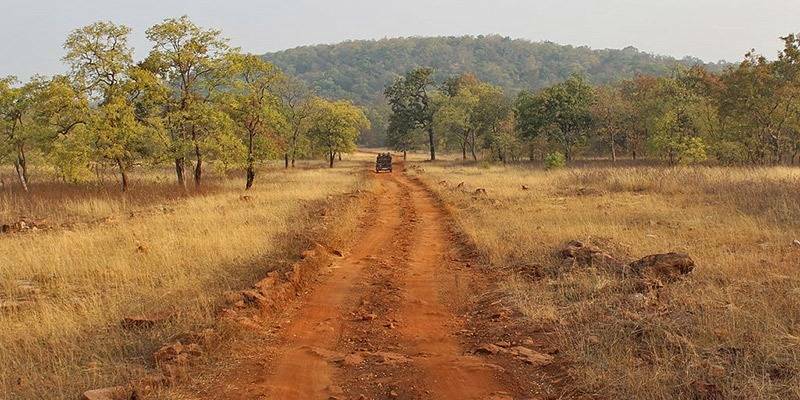 A plethora of mammals, insects and amphibians thrive at Tadoba, a lesser known wildlife reserve in Maharashtra. Long stretching grasslands, vast wooded areas, marshes, and lakes provide a peaceful habitat for tigers, panthers, hyenas, sloth bears, samba etc. Safe from hordes of tourists, this wildlife sanctuary offers an enthralling safari experience, where you can enjoy hours of jeep safari through the huge reserve. An astounding 80 tigers have made Tadoba their abode, and can definitely be spotted during the safari, sometimes even walking just inches away from the vehicle! By the lake, hundreds of crocodile lay basking in the sun, as eagles and hunting birds make the colourful freshwater fish their prey. In every part of the reserve, visitors can witness animals in their natural behaviour, uninterrupted and fearless due to fewer tourists. Head off this way to enjoy a real safari, before these innocent animals become victims of excessive tourism. 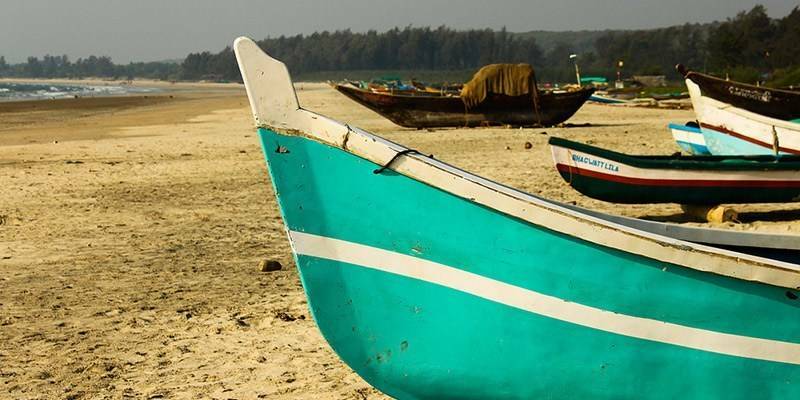 Tarkarli beach has the finest white sand beach in the entire stretch of Konkan beaches. Despite being close to Goa it has become one of the most popular beaches. It is highlighted by the Karli Backwaters on one side and also the serene blue sea on another side. Tarkarli offers an ideal destination for a relaxed weekend away near the beach and also is a good stop over on the way to Goa. Scuba diving and Snorkelling are two amazing water sports in the beach. Kamshet’s greenery covered hilly terrains make it an exciting hub for adventure activities. When you’re bored of being stuck within the city, escape to this offbeat location to experience the thrill of paragliding. 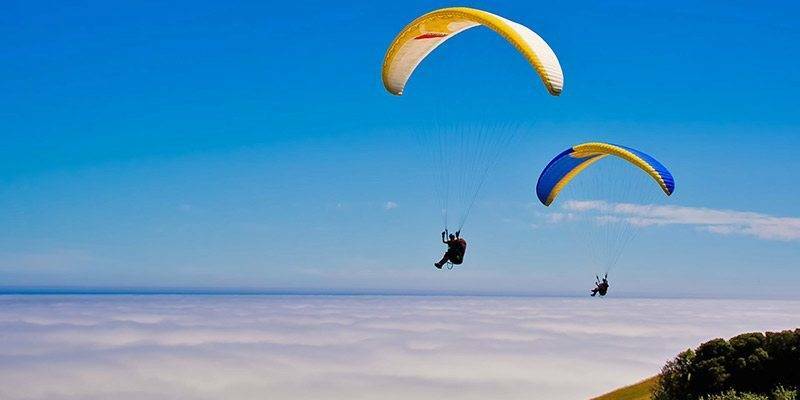 International standard companies offer exceptional paragliding services where you can soar among the skies, gazing down at unexplored hills, the beautiful Pawana Lake or vast sunflower fields. While this activity can take up a few hours, interesting sightseeing can be done at the many cave temples and quaint little villages in the area. Additionally, trekking is an enjoyable task to take up among the hills of the Western Ghats. Traditional Maharashtrian delicacies and mouth-watering fast food is available at small restaurants and villages scattered all over the area. Kamshet is an ideal weekend getaway destination for the adventurous adrenaline junkies! 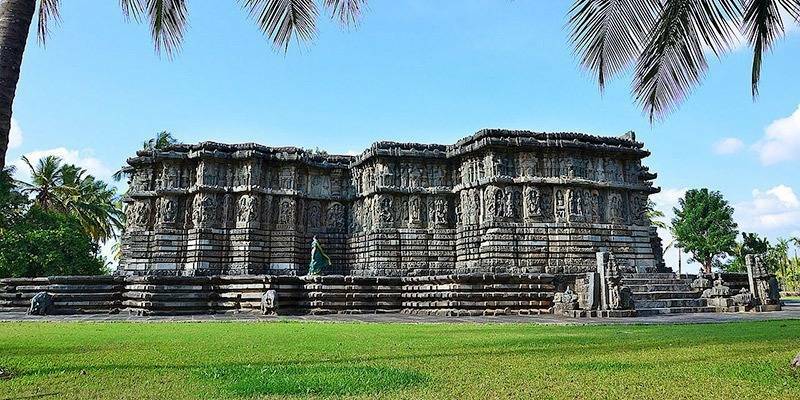 Belur and Halebidu are ancient cities that showcase Karnataka’s glorious past. Carvings of Hindu mythology scripts embellish the temples, which are renowned for their South Indian style of architecture. Characters from the Ramayana and Mahabharata are also carved on the many famed temples of Halebidu and Belur. These towns are loaded with rich antiquity and South Indian culture, and must be visited by those with a keen interest in history and architecture. 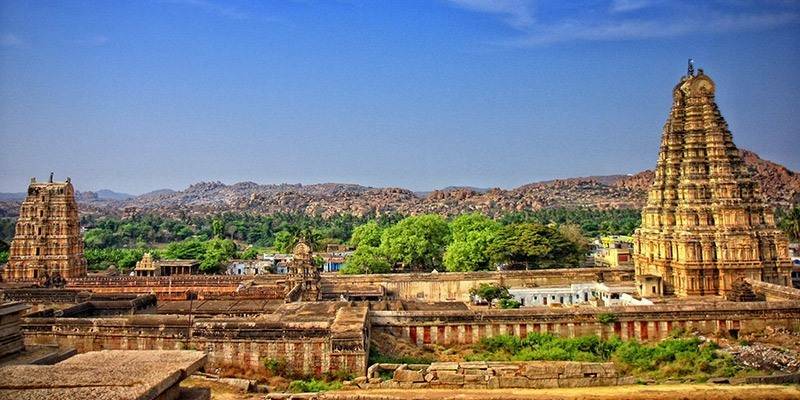 Kalampura: it is a small suburb near Hampi where there are a lot of monuments and an Archeology museum is set at the heart of the place. Anegondi: this was believed to be the original capital of the Kingdom. It had two temples, a hanuman temple and Ranganata temple. 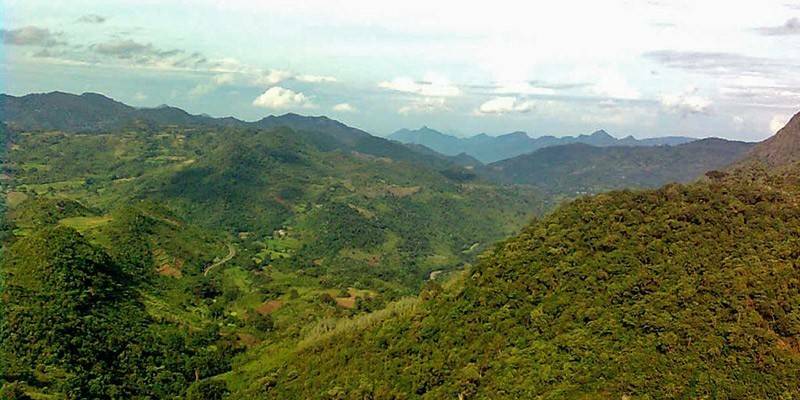 At a distance of 120 km from Vishakhapatnam, Araku Valley has a picture perfect view of the Eastern Ghats, valley, waterfalls and streams that lightly caress the concrete world on its outskirts. Though seldom visited and extensively rare in its scenic beauty, a road or rail journey is enough to captivate the nature lover in you! Padmapura Gardens – you would not want to miss out on the hanging cottages or tree houses. They are a must visit. Coffee Plantations – this has always been a specialty and has chocolates cakes and coffee all at one store! The Chaaaparai water fall about 15 km from here is another attraction. Where in India would you be able to enjoy a quiet scenic boat voyage across rippling waters and beautiful green hills? Papi Hills has the answer for you. A stunning gorge on the Godavari River of Andhra Pradesh, the Papi Hills provide extremely romantic and serene boat cruises along the river. Still not discovered by too many tourists, the water and banks are extremely clean and natural. 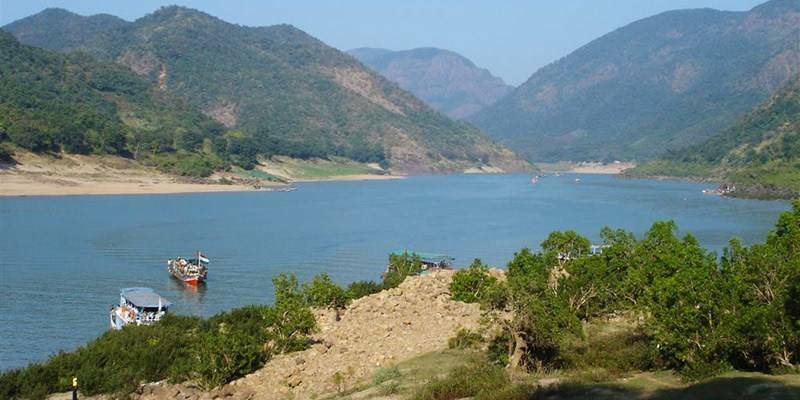 Papikondalu, the hill station houses small resorts where you can lie among nature in tent-like rooms, or engage in some bird watching, trekking or fishing. The beauty of the hills is captivating, and the shimmering Godavari reflects the sunset sky like no other. Hence, Papi is an incredible destination to relax, chill and enjoy some uninterrupted activities. 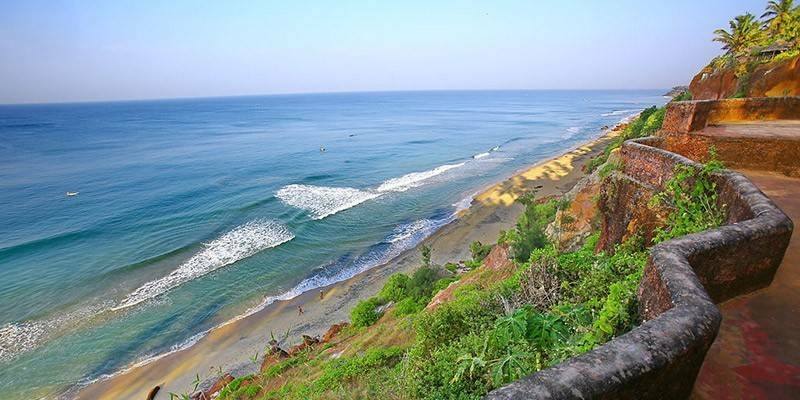 The clean and beautiful beach of Varkala situated between Alleppey and Kovalam is a honeymooner’s paradise. An evening spent in relaxation on its romantic shores is a must have. It is great fun when you are travelling with friends because other than the adventure sports, there are a lot of late night parties to be enjoyed. Varkala is also famous for the Sree Janardan Swami temple. A drive along a distance of 12 km from Kovalam is an apt way to reach this serene spot. It is a village that is formed by a cluster of many islands together. Carrying forward the entrancing view of Kerala, Kumarakom is embellished with coconut groves, water edges and boat rides. 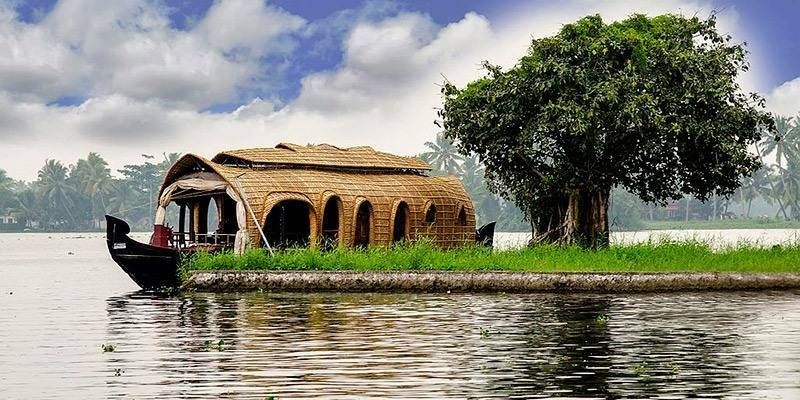 It is known for its enthralling backwaters that offer leisure to tourists and fishing opportunities to the inhabitants. It is placed away from the literal chaos of the city and offers grand opportunities of sightseeing to tourists. It is a bird watcher’s paradise with Egrets, Darters and Herons on occasional visit. The houseboat experience is another memorable attraction. 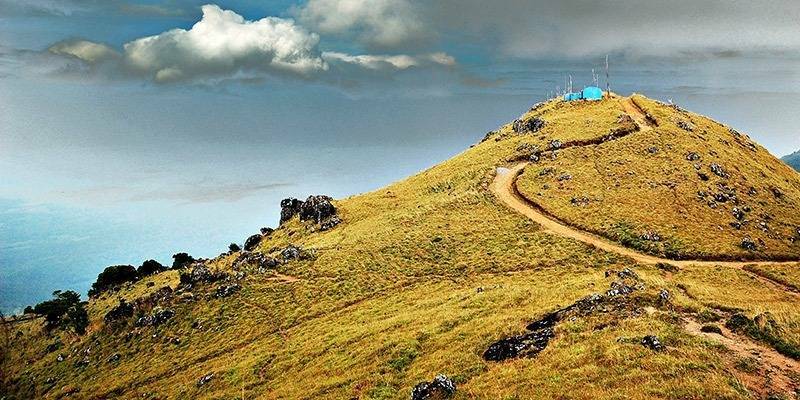 Just away from the noise and heat of Thiruvananthapuram, the serene hill station of Ponmudi lays nestled among the glorious Western Ghats. Pomundi, also known as the ‘Golden Peak’ is characterized by vast tea plantations, misty valleys, tinkling streams and breath-taking sunsets. A perfect place to cool off and let the stress out, the town is a retreat for those hoping to hide away from their hectic lives. However, adventure seekers can make the most of the unexplored hills at Ponmundi, especially for intense treks and hikes. The nearby Peppara Wildlife Sanctuary houses the native, exotic fauna of the hills. To truly explore this unusual land, you must take hours out just to walk across the plantations, through hilly terrains, past waterfalls, and blossomed flower orchards. Before the town becomes a tourist target, you ought to experience every little piece of heaven that Ponmundi has to offer. 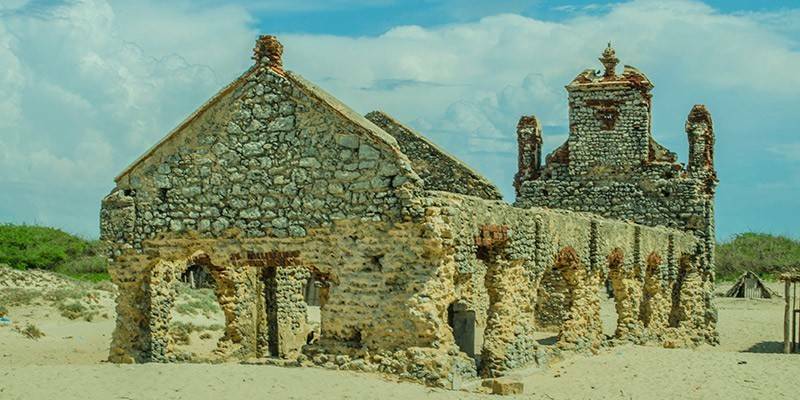 A ghost town with an air of eeriness, Dhanushkodi lies on the south-eastern tip of Pamban Island in Tamil Nadu. Deemed inhabitable by the Government, Dhanushkodi now houses ruins of a once bustling town which was completely destroyed by a cyclone in 1964. Accessible only by road, one can stay at Dhanushlodi only till 5pm, after which the town is shut for visitors. It makes a perfect day trip, where you can lounge by the white sandy beach, and gaze out at the teal blue waters of the Bay of Bengal. Local fishermen provide seafood dishes and fresh coconut water. For a little more interesting sightseeing, you can head to where the main town was, to see the ruins of a church, water tank and railway station. Just the gory facts surrounding Dhanushkodi make it an interesting attraction for the mystery lovers and curious minds.